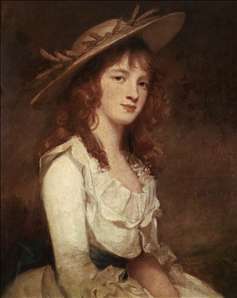 Fashionable portrait painter of late 18th-century English society. 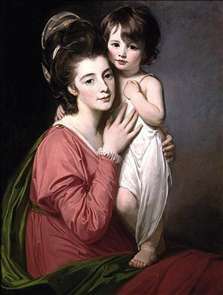 In his portraits Romney avoided any suggestion of the character or sensibilities of the sitter. His great success with his society patrons depended largely on just this ability for dispassionate flattery. 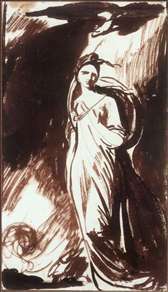 Line rather than colour dominates; the flowing rhythms and easy poses of Roman classical sculpture underlie the smooth patterns of his compositions. 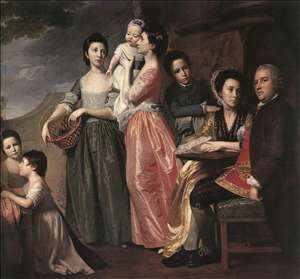 From 1755 to 1757 Romney was the pupil of Christopher Steele, an itinerant portrait and genre painter. Romney s career began when he toured the northern English counties painting portraits for a few guineas each. In 1762 he went to London. His history painting The Death of General Wolfe won him an award from the Society of Arts; nonetheless he turned almost immediately to portrait painting. In 1764 he paid his first visit to Paris, where he was befriended by Joseph Vernet. Romney especially admired the work of Nicolas Le Sueur, whose use of the antique strongly appealed to him. In 1773 he went to Italy for two years, where he studied Raphael s Stanze frescoes in Rome, Titian s paintings in Venice, and Correggio s at Parma. 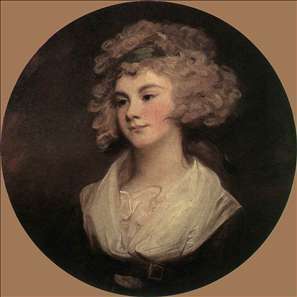 Travel abroad matured his art, and a new gracefulness appears in portraits such as Mrs. Carwardine and Son (1775) and the conscious elegance of the large full-length Sir Christopher and Lady Sykes (1786). See more details about "Miss Constable"
See more details about "Lady in a Brown Robe"
See more details about "The Leigh Family"
See more details about "Portrait of Mrs Henrietta Morris and Her Son John"
See more details about "Study for Elizabeth Warren as Hebe"